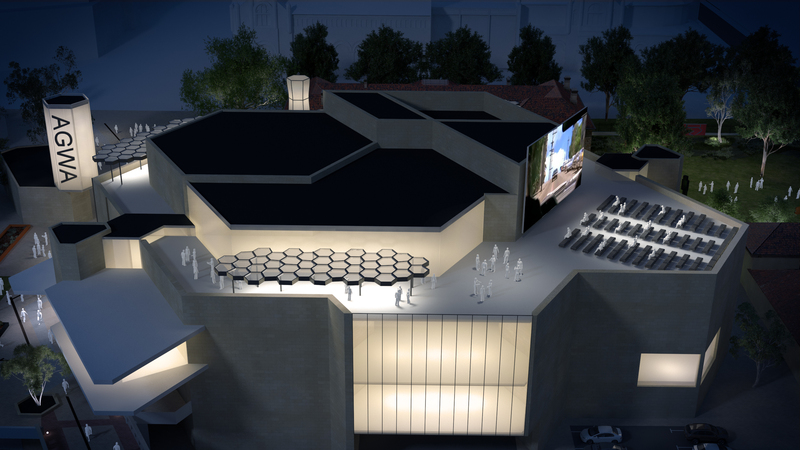 Chaney Architecture has recently completed a Strategic Development Plan for the Art Gallery of Western Australia. The proposal includes new food and beverage opportunities, a new building entry sequence, improved access to the building’s spectacular roof terraces and longer term master planning strategies for improving the integration of sculpture gardens and other external spaces around the building. A series of smaller scale interventions were identified and priced to support a potentially staged refurbishment and upgrade plan for the building. Chaney Architecture also recommended that the project should be summarised and communicated through a short video animation of the proposal to help garner strategic and political support for the proposal. The promotional video proved to be a key mechanism for exciting interest and support in the proposal and just prior to the 2017 State Election the then opposition committed $10m to the first stage of the development.